Version 1: Overalls with a somewhat fitted back pant with back waist darts and an invisible side zipper and a scooped neck bib front. 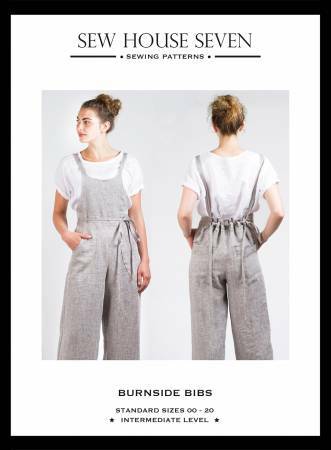 Version 2: Overalls with a loose back pant that slips on over your hips and does not have a closure to sew. It has a straight bib front.